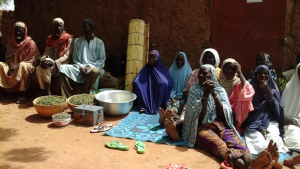 The village of Kobio is typical of many communities in the Tilaberi region of west Niger. Its people face many challenges as they try to create better lives for their children in the midst of poor conditions like recurring drought and famine. Women used to walk more than six miles to find water. Parents were powerless witnesses of a high level of child malnutrition, illiteracy among the girls and feared that a child might die from contaminated water. In 2015, Wells Bring Hope drilled a well in Kobio, improving the lives of more than a thousand people. In addition to drilling a well, its partner World Vision began educating villagers on good hygiene and sanitation practices, and it is something they continue to do as they visit a village one a month. Fadima Sanda has ten children, seven girls and three boys. For the past two years, she has been an active member of the “Kanda Gomni” savings group, which means bringing the blessing. She says the creation of this group is a blessing because sometimes in the past, she could not even afford a little salt for their food. Fadima’s life changed when she took out a loan to make bed mats for people in her community. She took a loan of 5,000 FCFA (US$10) from the savings group and used it to buy materials to create 10 beds. Her hard work generated total revenue of 10,000 FCFA (US $20). She then bought a goat, which has given birth twice and allowed her to sell one of the newborns for 22,500 FCFA (US $45). Three months later, Fadima repaid her loan with interest¾she made a profit that not only serves to invest more in her new business but also to improve the health and living condition of her children. Eating traditional grain with seasoned meat sauce used to be rare in this village, maybe a once a year occasion. However, life has changed for Fadima and women like her. Today, she prepares a different healthy meal almost eery night. When she goes to market to sell her traditional mats, she uses part of her profit to buy food that her children love. The market day is really a happy day because she comes home with salt, rice, okra, tomatoes, meat, and smoked fish for the week. Fadima is happy to see her children so much healthier. They don’t get sick the way they used to. 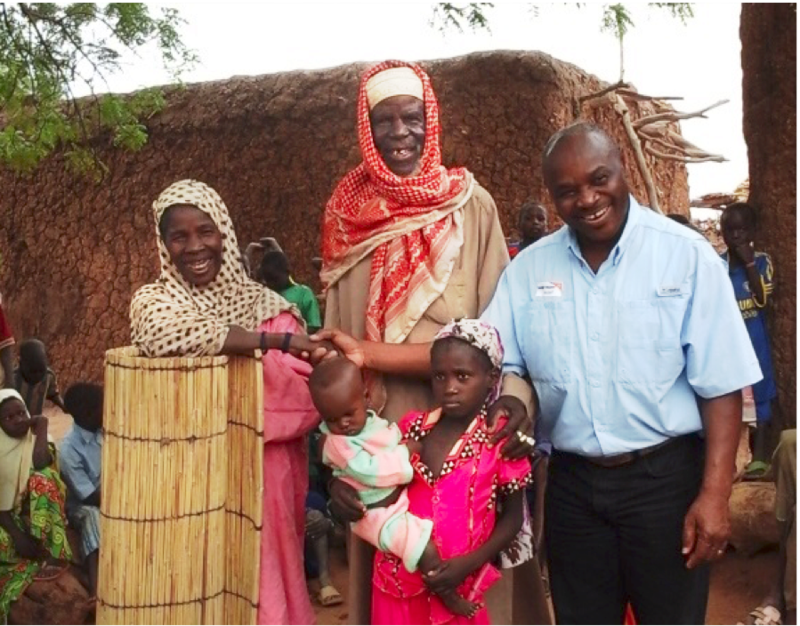 “Since I became a part of this savings group, my life has gotten so much better. Now, I can help my husband with house expenses like food and the children’s clothing. Our food is richer and varied,” she said proudly. “Joining the savings group has allowed my children to eat well and they are happy. I am filled with happiness because I can see their joy. Look at them, they are well fed and well dressed,” Fadima added with a big smile.